Indoor Air Quality (IAQ) is fast becoming a major issue for building and facilities managers across the country. Surface pollutants — such as dirt, dust and smoke residue — affect indoor air quality and may lead to employee complaints and illness. 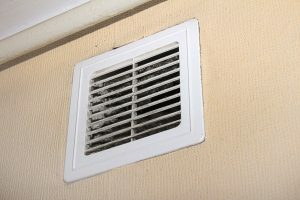 Additionally, indoor air pollutants such as dust mites, mold, mildew, animal dander, and smoke are just some of the irritants that can get circulated in homes, offices and facilities. Bacteria, mold, mildew, fungi and yeasts are everywhere in our everyday environment. The condensate which forms on the cooling coils, drip pan and duct work of air handling systems creates an ideal environment for the growth of these microorganisms. Air Ducts sanitizing is extremely effective in reducing the harmful potential associated with this microbial contamination. We provide sanitizing in all building HVAC systems – residential, commercial, industrial and health facilities. For many allergy sufferers, microbial growth in the air handling system can significantly aggravate or even initiate an allergic response. For this reason we use EnviroCon™, an EPA registered Bacteriostat, Fungistat, Germistat and all-purpose Deodorizer. For odors associated with bacteria, mold, mildew, smoke, animals, etc. in the air and in air handling units we use EnviroCon™. EnviroCon™ does not cover up or mask the odor with alcohol or perfumes. It eliminates the source of the odor, leaving your air fresh and clean. The most significant feature of the chemical we use, is the low toxicity and safety of the product. In addition, EnviroCon™ is not an aerosol and contains no environmentally damaging propellants or flammable ingredients. Using a high quality fogger which atomizes EPA registered antimicrobial chemicals. We will deodorize, sanitize and disinfect your air duct system. This natural add-on service is offered AFTER your air ducts have been cleaned. This service is recommended every 6 months to increase your Indoor Air Quality. The Rotobrush® is the only method that power-brushes and vacuums at the same time. And it uses HEPA filtration, interchangeable 1-1/2″ and 2″ hoses, 12″ diameter rear wheels and a built-in collapsible handle for better handling up and down stairs. With the rotating drive cable contained within the vacuum hose, the Rotobrush® can be snaked through the air duct all the way to the plenum. The reversible feature allows to change brush rotation from clockwise to counterclockwise, allowing for cleaning of rectangular air ducts. Right angle turns are routine, allowing for brush-vacuuming of every contacted surface, including wrinkles and crevices typical of flex duct.